Sofas by Saxon is a Chesterfield sofas specialist based in Lancashire. 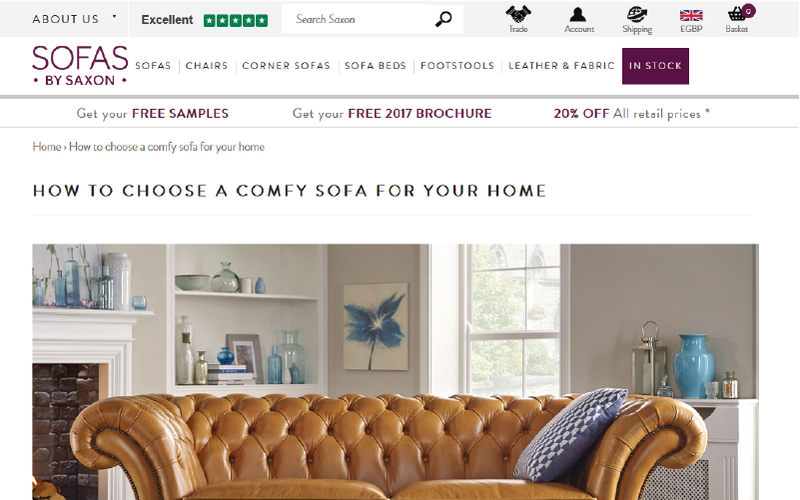 They tasked our organic search team with improving their rankings for the two biggest keywords in their market: 'Chesterfield sofa' and 'Chesterfield sofas'. 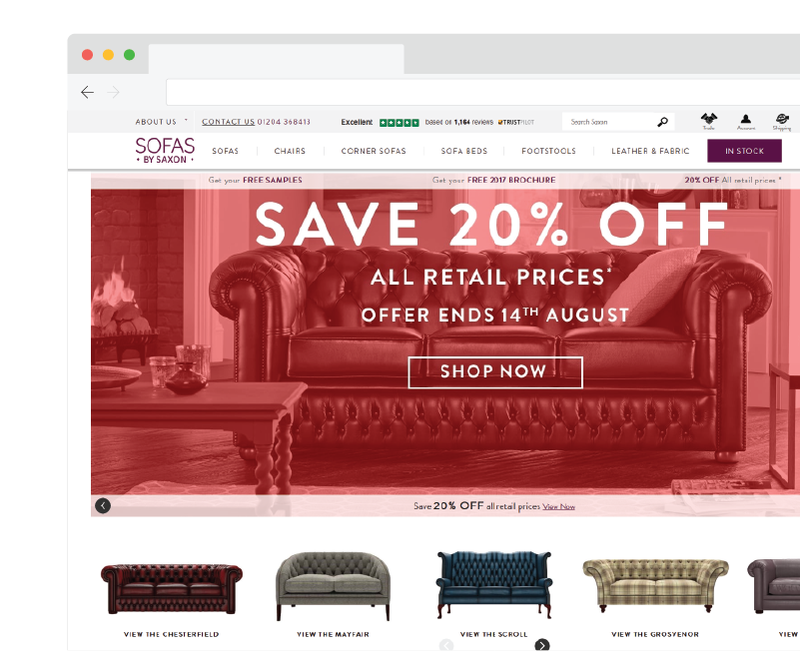 Ensure the site is technically sound, and boost site authority on the topic of Chesterfield sofas using the right mix of content and outreach. Our technical team focused on the website migration which allowed for more of a focus to be put on key commercial areas. We produced search-optimised category content and onsite resources including buying guides to establish relevancy for target keywords. We harnessed the expertise of the Sofas by Saxon team to earn exposure on high-quality sites including House Beautiful and the Telegraph. Boosting 'Chesterfield sofa' rankings and more. Chesterfield sofa rankings	Core keywords now consistently appear on the front page, usually the top 3. Content creation	We create high-quality onsite content that generates traffic and conversions. 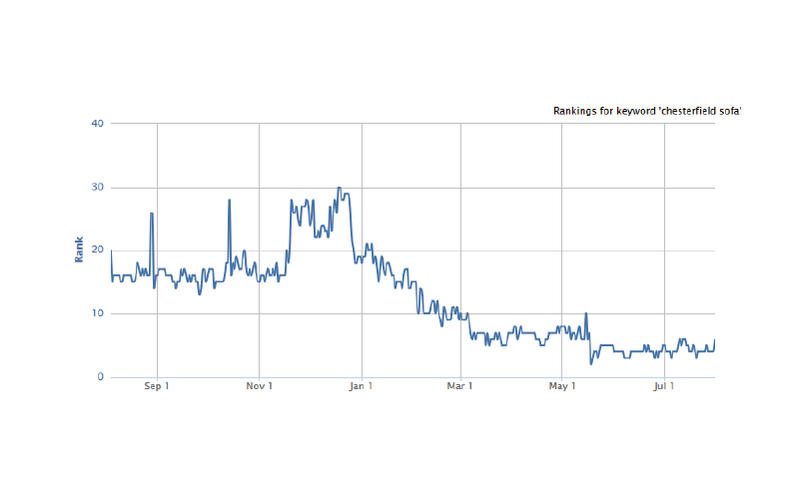 Niche keywords	Generating rankings for lots of niche keywords gave a large overall impact. High-quality links	We have built ethical links on some of the UK's and industry's biggest sites. As someone who reads a lot of industry content, I find that the content provided by Glass Digital is of the highest standard. Their writing perfectly suits our products and customers, and we believe it's benefitted our brand image and conversion rate as well as SEO. They not only produce descriptions and guides for our site, but write content that helps secure links on sites like House Beautiful. 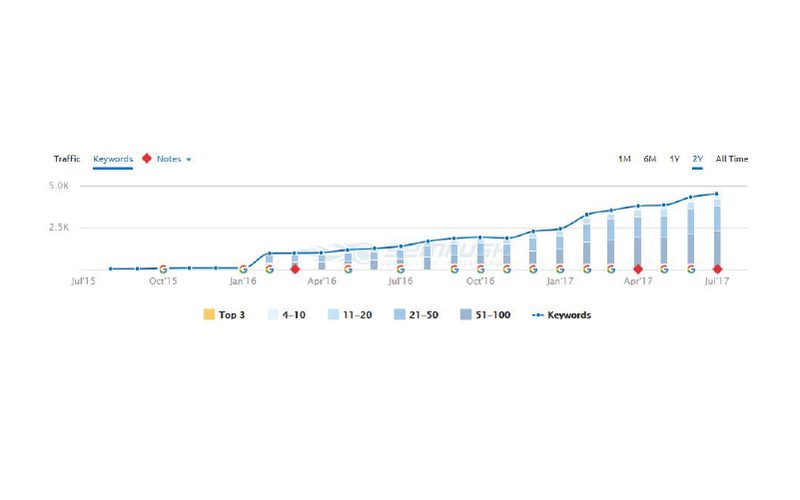 We can make your target rankings a reality.